The 21st century has seen the rise of an epidemic in depression. As our culture becomes increasingly angry, chaotic, and hopeless vast numbers of Christian men and women are looking for help with their problem. In an age of unlimited knowledge and infinite connectivity, people are more isolated and alone than ever. Happiness seems forever elusive as people look for the more abundant life but seem unable to find it. We understand! Using the foundation of our own experiences, we take an approach to overcoming life's difficulties that is grounded in both spiritual and medical principles. 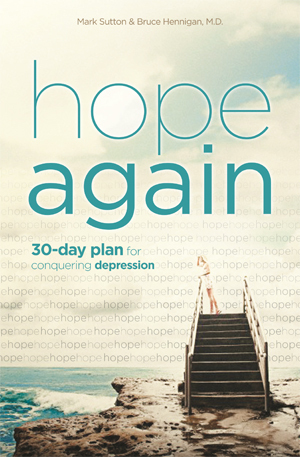 Hope Again: A 30 Day Plan for Conquering Depression provides step-by-step encouragement and instruction to manage and win over depression. Follow our weekly Blog posts for encouragement. 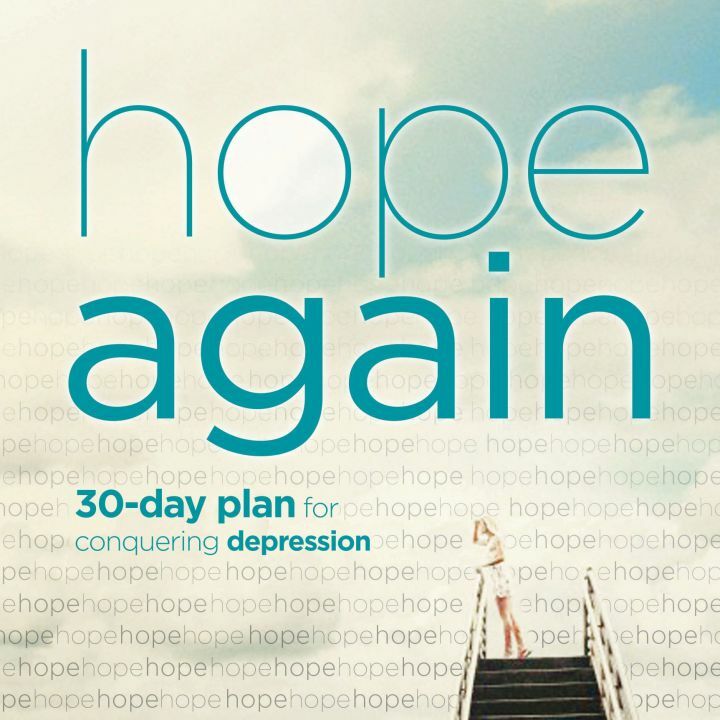 Today, I will start using my depression as a reminder to stay close to God. When I think I can’t go on, instead of getting discouraged, I will turn to God, who will give me the strength to take more steps. "But he said to me, ‘My grace is sufficient for you, for my power is made perfect in weakness.’ Therefore I will boast all the more gladly about my weaknesses, so that Christ’s power may rest on me. That is why, for Christ’s sake, I delight in weaknesses, in insults, in hardships, in persecutions, in difficulties. For when I am weak, then I am strong." One of the characteristics of those of us who fight depression is a high sense of guilt coupled with a profound belief that no one could really love someone like us. Right now as you contemplate “what is wrong with me?”I want you to realize there are four aspects of your being that are impacted by the disease of depression.